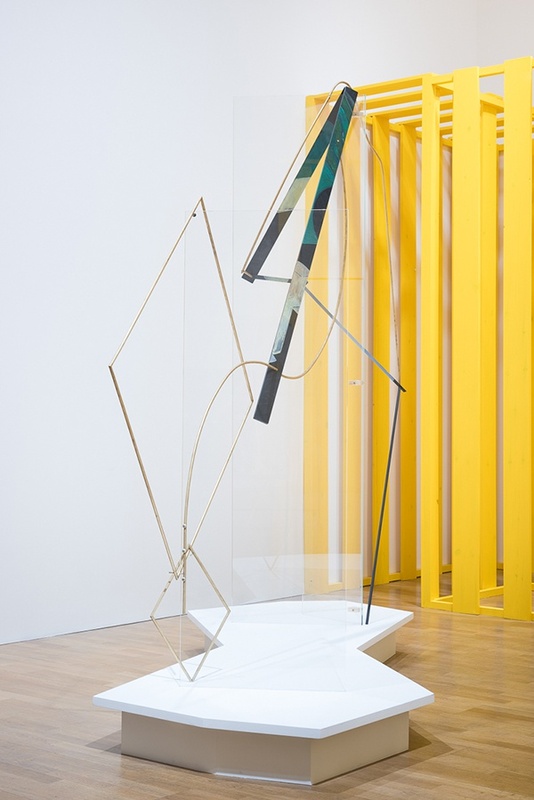 Pace London is pleased to present “Signal Failure”, a group exhibition featuring works by Sara Barker, Philomene Pirecki, Cédric Eisenring Mathis Gasser, Scott Lyall, Sergei Tcherepnin and Tobias Madison. Looking to the life and work of Agnes Martin “Signal Failure” is an exhibition that seeks to function as a pocket of resistance to the conditions of speed, mediated relationships and communication for the sake of communication. These positions have come to define our present age where artworks are rapidly converted to image data circulating globally at high speeds and the success of an artwork is judged by its ability to saturate social networks; where meaningful engagement has been switched for maximum exposure. In the 1960s, as mass media was beginning to permeate all aspects of everyday life, Agnes Martin was working with “[her] back to the world” , creating expressive, sensitive paintings that address perception and extend awareness. Often made to bodily dimensions of 6 x 6 feet they demand slow engagement—the subtleties of their physical detail render them impossible to reproduce. 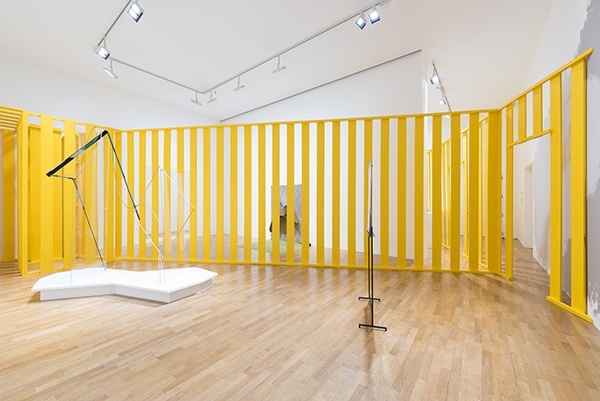 Taking the intimacy and irreproducible nature of Martin’s work as a starting point, “Signal Failure” brings together a younger generation of artists whose work attempts to reclaim space resistant to the speed of communication age and the ever-expanding flood of digital images. Often employing tools of mass reproduction and communication, the constructs of transmission and circulation are made complex and slowed down to a level of acute perception. Following in the lineage of Ad Reinhardt—a close friend and mentor of Agnes Martin—Scott Lyall operates an agenda of negation, schematization and repetition. His paintings—in fact UV digital prints on canvas—start with the selection of single pixel of colour. This pixel is then processed through a set of repeatable mechanical procedures, such as wrapping the pixel around the virtual curvature of a void that produce infinite possible outcomes. Resultant colour information is sent directly to the printer heads, bypassing the need for a pre-existing graphic image. At first glance appearing as monochromes they slowly reveal themselves as polychromes, made up of a kaleidoscope of colours. 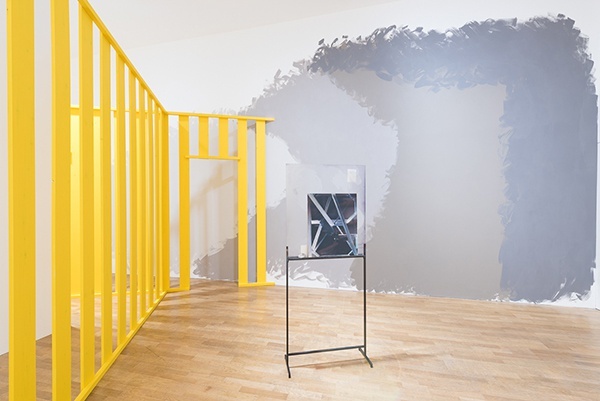 Philomene Pirecki’s work questions the fidelity of reproductions, how something physically absent might be made present again albeit in an altered state. 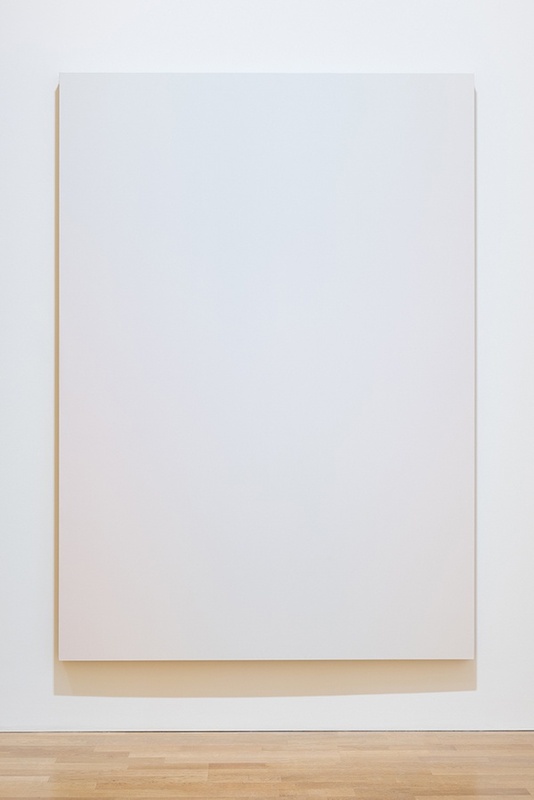 Her white wall paintings begin with the artist taking close-up photographs of an empty white wall. For “Signal Failure” these were taken whilst Agnes Martin’s 1976 film Gabriele was being projected on the opposite wall. 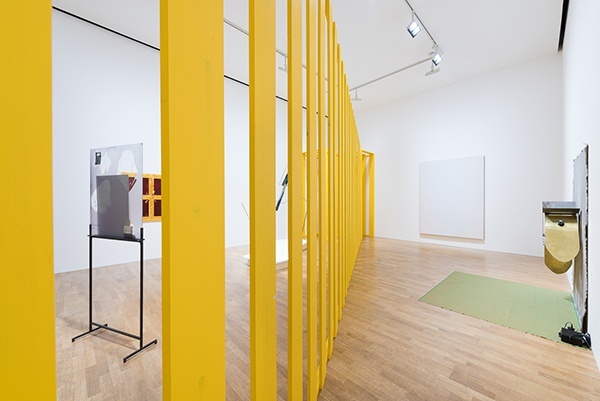 The resulting photographs—effectively colour samples—are then mixed in paint by machine or by hand and reapplied to the wall, resulting in an exaggerated representation of the varied and nuanced perception of the colour white at that specific moment in time. 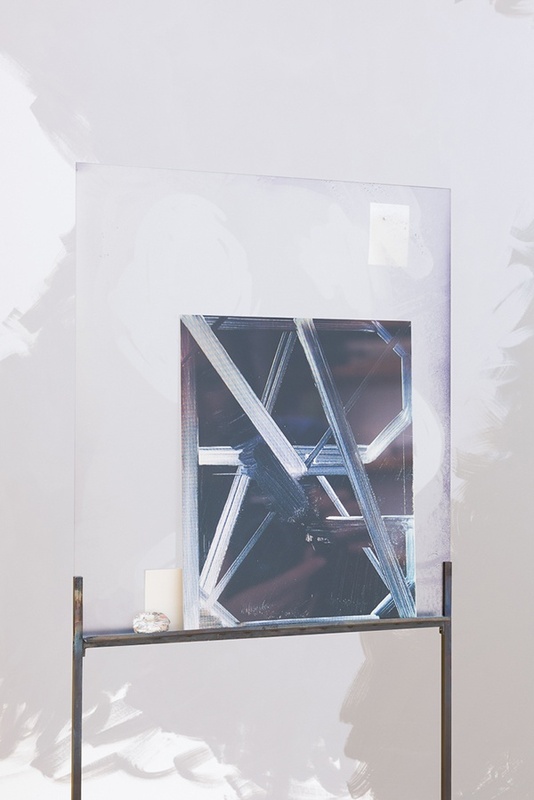 Desire as a Form of Energy (2015) is a new floor-standing work that expands Pirecki’s “Image Persistence” series, using an image taken from digital documentation of an artwork the artist no longer owns, photographed directly from her computer screen with all the attendant pixelation. The resulting image is printed onto aluminium generating a new version of the documented work. 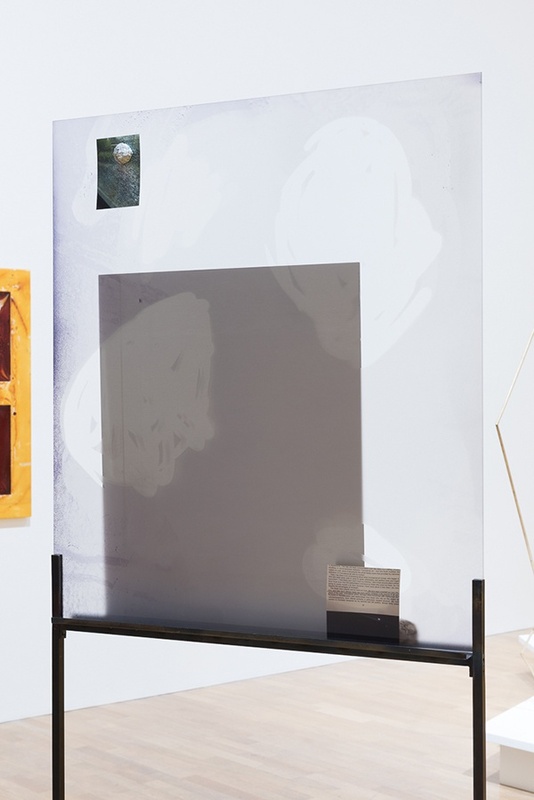 It rests against a large sheet of glass printed with a semi-transparent misty image through which other elements can be partially seen, including a block of reconfigured rejected works on paper, a magnet made from out-of-circulation shredded bank notes, and a short text on paper. Inspired by Victorian and late-modernist literature, Sara Barker’s sculptures are delicate compositions of metal, glass and paint. Often described as drawings in space, the negative voids within In semi-darkness she reclines and pretends to read…(2014) frame their environment. Intricate details lead the eye yet panes of glass are used as a device to refuse the viewer entry, making the spectator intensely aware of their presence in the space that they inhabit. The works powerful presence lies in absence, in what is left unsaid. Classically trained in music, Sergei Tcherepnin’s practice actualises sound through forms of sculpture and performance. 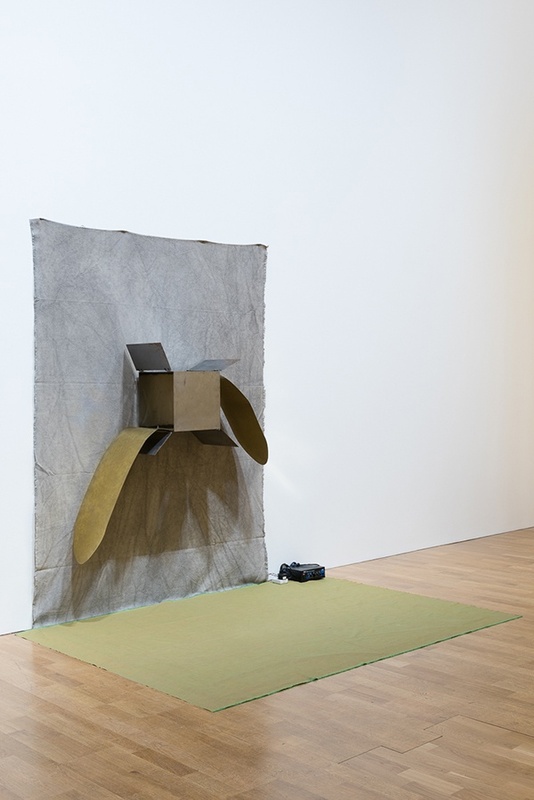 Rotating Box (2014) comprises an un-stretched canvas that operates as the ground for a two brass tongue-like elements that are wired up to transducers and a mini computer that plays a digital composition by Tcherepnin. This transforms the brass into speakers. The viewer is invited to manipulate these elements to alter the composition. Through extending the experience of sound into visual and tactile realms, the digital signals of the music become grounded in real experience. Often working collaboratively and across a wide range of media, Tobias Madison destabilizes the structures and categorizations of the art system. 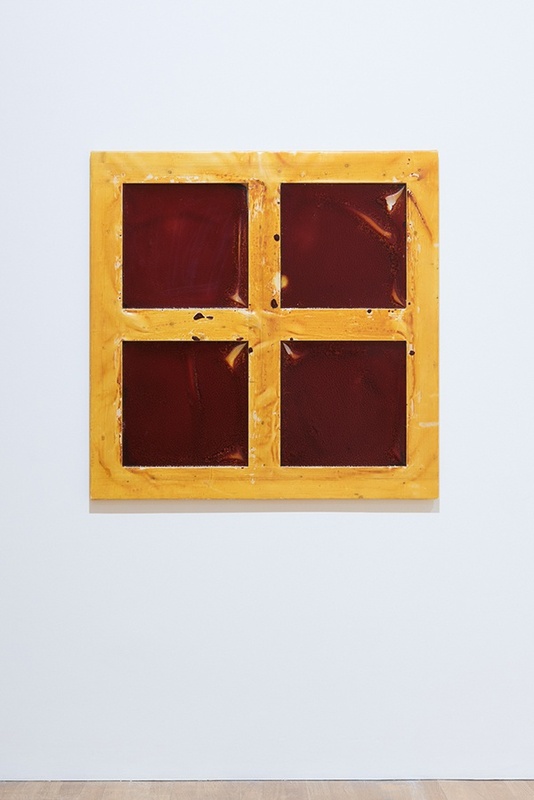 Resembling a small blacked out window Untitled, (2015) is from a series of new works made from wood, polyurethane and epoxy resin that act as supports or framing structures for iodine—a chemical that the human body needs but cannot make, that disinfects but is also highly toxic, that cleans but stains. Adhering to core tenants of painting, Madison’s work refutes such a traditional reading, staining, defacing and activating the work as a dynamic object. 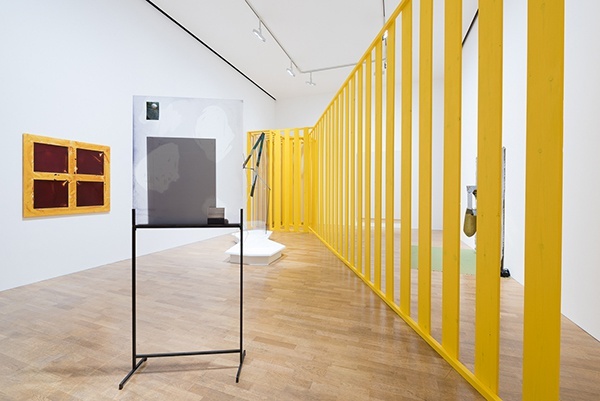 Madison has a continued interest in artwork’s self-sufficiency: rather than functioning as an inert image the work becomes an event that is impossible without the viewers’ collaboration. The very conditions of viewing and perceiving become the focus. 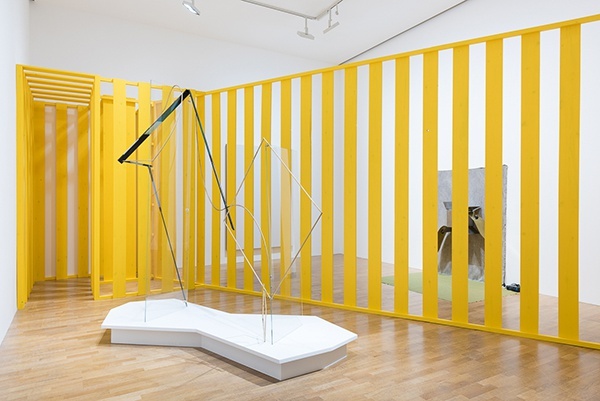 Intersecting the space is a work conceived by Mathis Gasser and Cédric Eisenrig titled Yellow Gate (2015) that structures the exhibition space spatially and guides the viewer through a maze with multiple entry and exit points. The gate is massively present, yet it is also a fluid, elusive structure that could vanish at any point, leaving behind only a vague memory of its presence, a mnemonic reminder of hidden spaces and images vibrating through us. 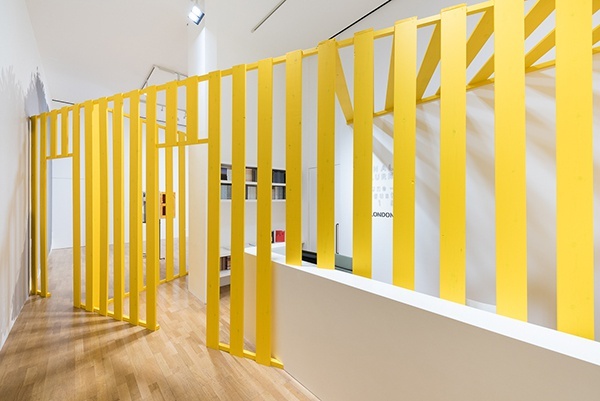 Constructed from evenly spaced yellow lengths of timber Yellow Gate adds a layer of interference that complicates the viewing and documentation of the other works in the exhibition and demarcates the exhibition as a dense, slow, other space—a temporary pause in circulation where the conditions of viewing in time and space are slowed down and amplified.